With the dramatic lighting, intricately designed sets, soothing music score in the background, and the chipper sound of dialogue in the English accent, I was instantly won over by the new Netflix series, “The Crown.” This Netflix original follows the rise of Queen Elizabeth II, the current monarch of the United Kingdom and the longest reigning Royal in all of English history. While William and Kate and their adorable children seem to be captivating the spotlight, this dramatic series rightfully restores Queen Elizabeth’s life to the center stage of our romantic imaginations. What instantly intrigued me about “The Crown” is the portrayal of Elizabeth as a unique and unrepeatable human person with a lively personality and quick wit; a girl who underestimates herself on every count, who is reluctantly made Queen of the world’s most well-known Kingdom after the untimely death of her father, George VI. The series begins with the polar tension of Elizabeth’s life: marrying a relatively common man, she desires a relatively common life; she admittedly longs for a simple life with her husband and children in Malta, the place where they settled while her father reigns as King. With King George’s health declining and her claim on the throne drawing ever-more immanent, she begins to take on some of her father’s tasks to prepare to step into her role as Queen. She is a person; a person who possesses a real heart capable of real pain and real love. She is somebody’s wife, somebody’s mother; somebody’s little girl who was thrust into the global spotlight at a young age when her uncle abdicated the throne, putting her next in line after her father to become the Sovereign. She often laments the complications that the impending crown will place upon her life and her marriage. As the future Queen’s husband, Philip knows that turbulent and complicated days will likely await his young bride and their growing family. In a desperate attempt for “normalcy,” Philip and Elizabeth try their best to assimilate to the normalized gender roles of the 1950s. Philip pursues a career in the British Royal Navy while Elizabeth tries her hand at being a homemaker and full-time mother. As the King passes away and Elizabeth (at the ripe “old” age of 25) becomes Queen of England, the gender roles are reversed as Philip is forced out of the action of military life, the family is uprooted from Malta to Buckingham Palace, and Elizabeth carries the family as head of the nation in her new position of authority. Obviously, Philip (and Elizabeth) struggle with the adjustment and the implications of it upon their marriage. 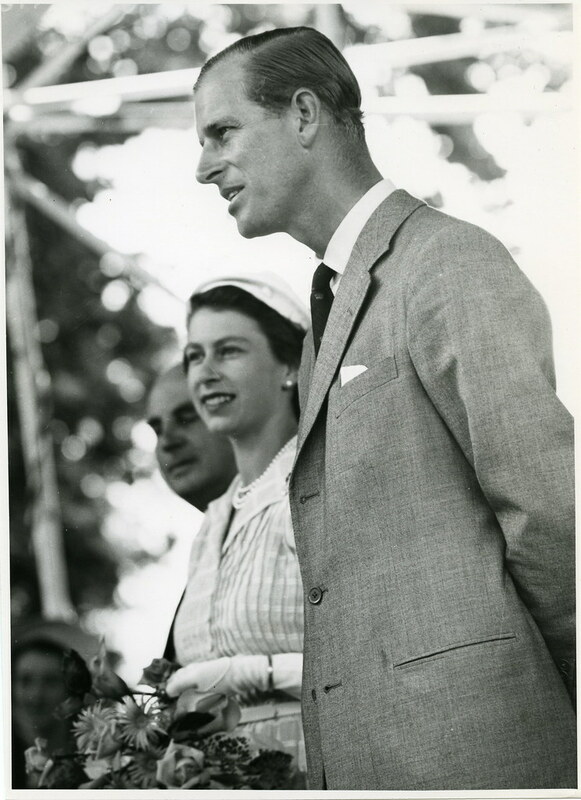 Thus, when discussing her upcoming coronation, Elizabeth informs Philip that since her coronation is going to be televised all over the world, it is important that he makes the public declaration of his allegiance to her as Queen by kneeling before her after she is crowned. Philip balks at the idea. “Are you my wife or my Queen?” he asks, exasperated. “I’m both,” she replies, startled. “Your wife is not asking you,” she retorts, frustrated. As Philip storms away, Elizabeth stands there, devastated. It must have felt like her world was crashing in on her, inch by inch. By accepting a crown that she never desired, she begins to watch the life that she has always desired slip away and become distant. This is the struggle that man and woman now face after the Fall. In my previous posts, I’ve alluded to what the Edenic relationship must have looked like between Adam and Eve. While Adam’s first impression of Eve was one of similarity and likeness, he always cherishes the ways in which she is different from him, giving her the name of woman. The question throughout history, then, has become: how does one balance both the similarities and the differences of man and woman? Without question, history has time and time again attempted to integrate many unbalanced solutions: either man tries to dominate woman, or woman tries to dominate man. The power-struggle that ensues on an ideological level plays itself out in marriages and family dynamics, resulting in tension, heartache, angst, and grief. While I’m still struggling with Novak’s claims about man and woman being “incompletely human” without each other in his essay, The Embodied Self, he has helped to shed some light for me on the solution to this power-struggle. Novak points out that shame in a relationship only arises as a result of a war for dominance over the other; when man and woman make themselves into embittered enemies, shame and anger ensue (3). Thus, as a result, they hide their true selves from each other, and turn to the arts of seduction in order to dominate the other (4). One can see this as it plays out in “The Crown” as well. Because of Philip’s desire to be dominant in the relationship, the concept of “kneeling” reemerges later in the series as Philip makes a highly suggestive remark to Elizabeth regarding kneeling in their bedroom as an attempt to assert his authority over her in their marriage. Because of man’s deep sense of shame in regards to his desire to dominate woman, the tension ends up playing itself out in seductive behavior. How can one avoid this? As Novak points out, the solution is simple: self gift. 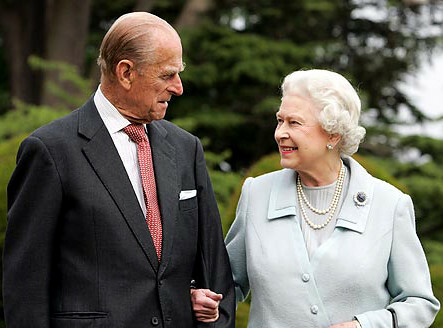 It is only through willing the good of the other through self-giving love that man and woman not only become equals, as Philip and Elizabeth grapple with, but they become one (5). It is this oneness which is a fate far greater and far more noble than equality. Oneness is communion, fusion, unity. It is this unifying love that most closely resembles a Trinitarian love. This gift of self to the other is not one-sided or unrequited. Rather, this gift is “matched by the gift of the other, freely given” (6). A self-giving love would help Philip to see that he is not simply kneeling to his wife and Queen as an act of teeth-gritting obedience; rather, he could see it as a gesture of giving his whole self to her. While I’m sure the test of time and love has proven true in their marriage, the portrayal of Elizabeth and Philip’s quest for selfless love in their marriage in “The Crown” has certainly given me plenty to chew on over the past couple of weeks. May we all pray for the grace of a happy, self-giving marriage. 3. Michael Novak, The Embodied Self, 3.